Last weekend was the launch event for Connected Exhibition, something I’m very lucky to have nearby and get involved with every year. One of the highlights for me is always trying to organise a shoot around my local area on one of the mornings, with a few other photographers who travel here for the weekend of talks. 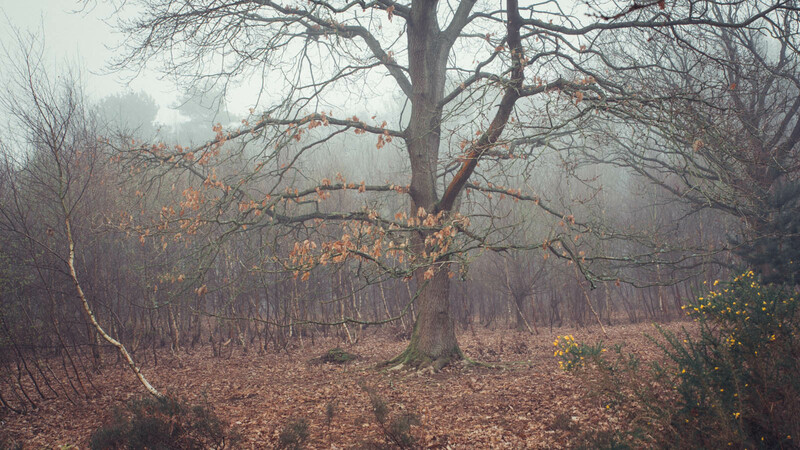 This year we headed out on the Saturday to Sherwood Forest, where else would I take people? 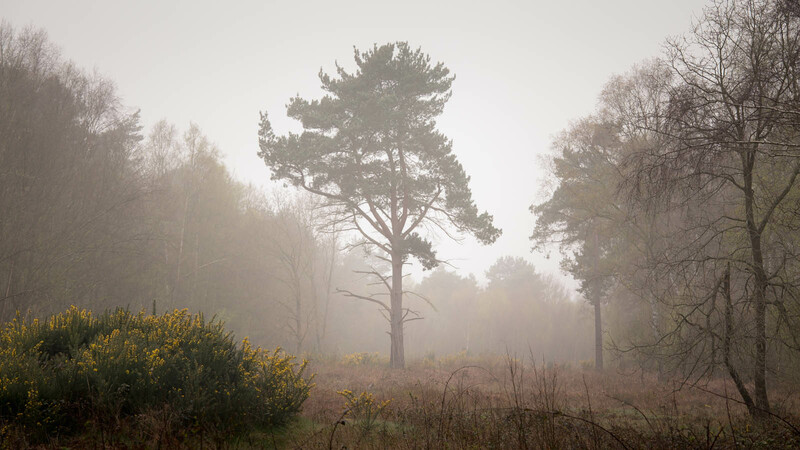 We met in the parking space near Budby South Forest, the big area of open heathland where I shot much of my Sherwood book and got lucky with a decent bit of fog. 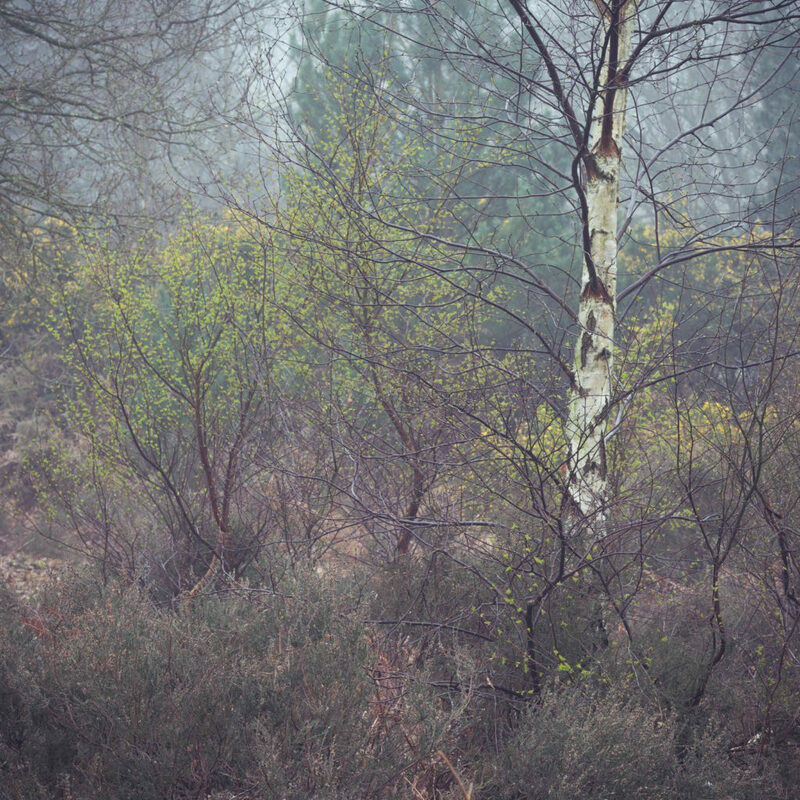 Less than there had been on the drive over, not quite heavy enough to shoot in amongst the dense woodland, but still some serious atmosphere on the heath. This area is still somewhere I come to regularly as it tends to attract such good conditions, but that does mean it’s becoming a bit of a struggle to find new compositions. Because of that it seemed like a good opportunity to wander off into an area I’d not spent much time before, the border between the heath and the main forest. 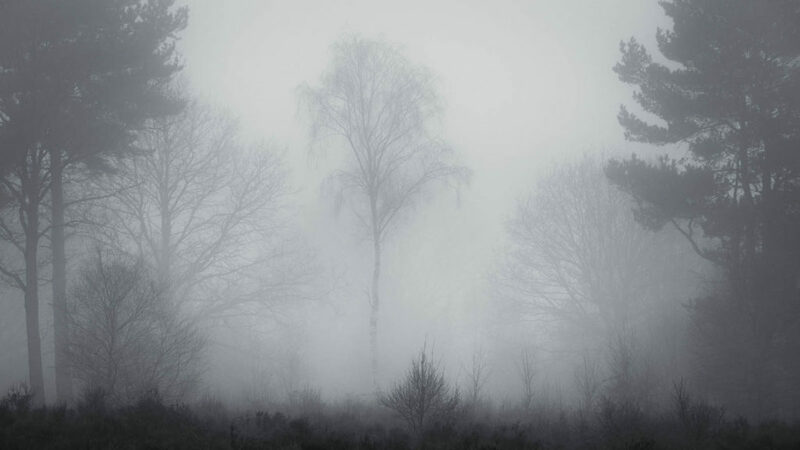 It would have been nice to get a bit of light, but the mist was just enough to add some depth and separation to the trees, while holding back the sky a touch. 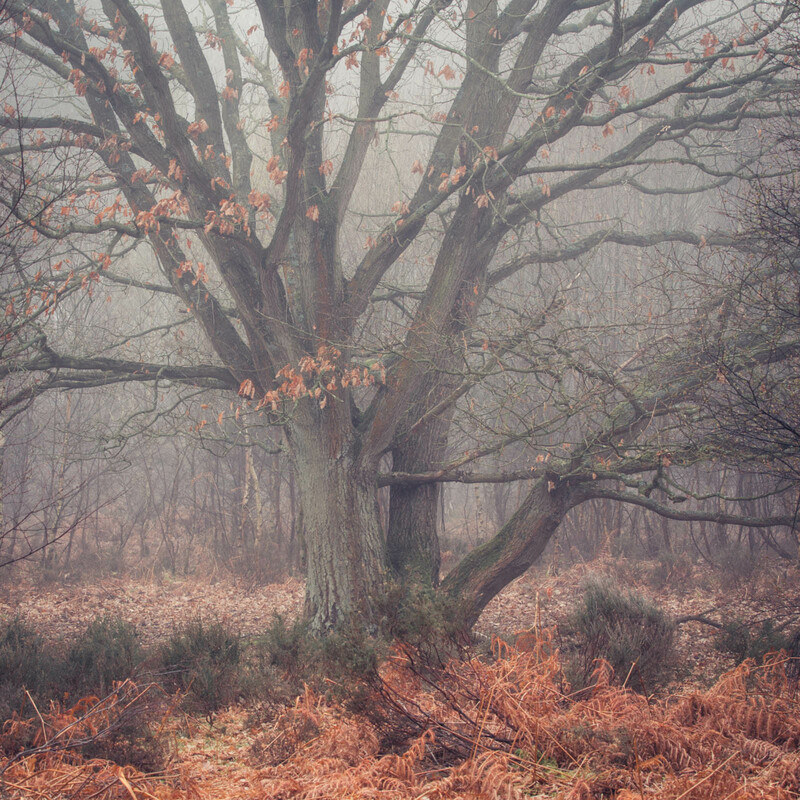 There were some wonderful beech trees in this area, full of character, which I’d never noticed before as silver birch had always dominated my images from the heath. The border between the two areas of woodland also had more variety, rather than it all being heather and silver birch, there was bracken, mossy grass, yellow gorse flowers and a hazel tree, covered in catkins. 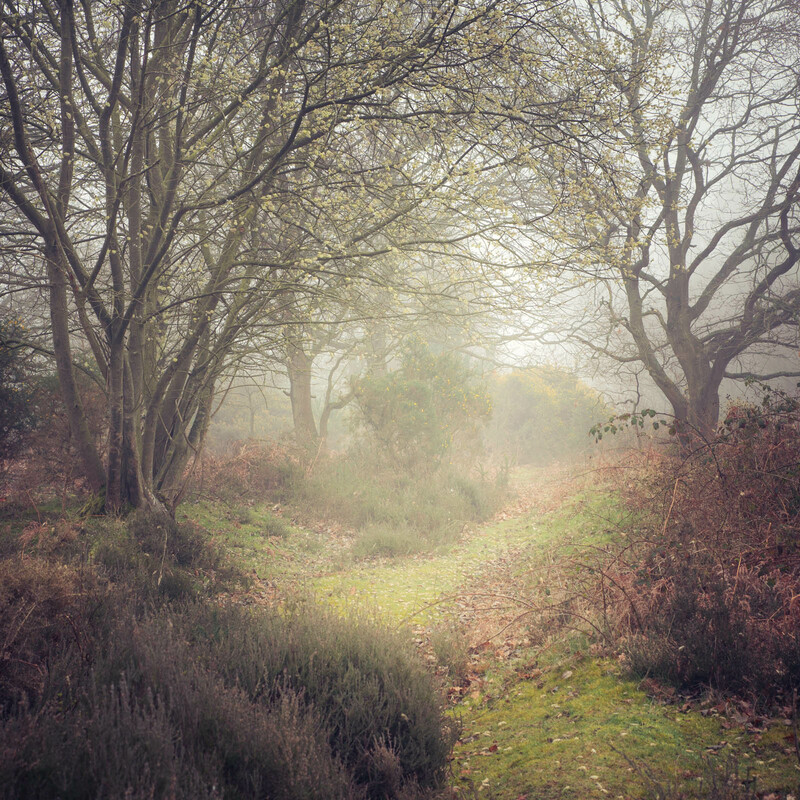 I’d actually been on the heath the weekend before leading my first ever one to one workshop, and we’d had stunning conditions then, with mist, frost and glorious light. 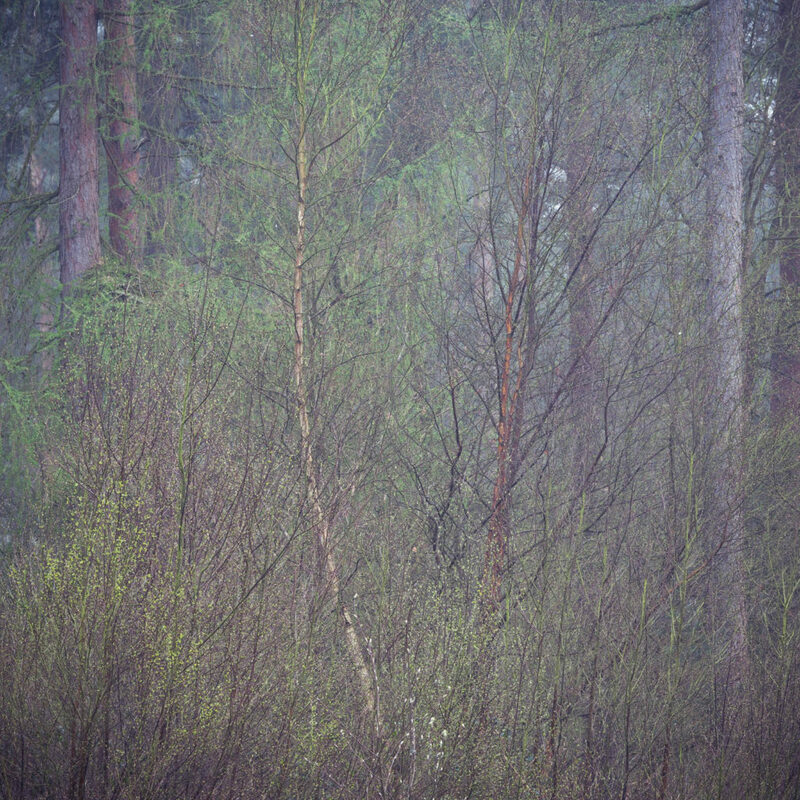 That morning I’d not been concentrating on my own images, but the trees were still very bare, with just the odd bit of fresh spring growth coming through. It seemed just a week on that everything had started to come to life. Towards the end of the morning I reached this Scots pine in a bit of a clearing, the shape of it really appealed to me, and it’s a fairly unusual scene for the Nottinghamshire woodland. By this point I was a long way from where the other guys had ended up, and it was getting close to the time we needed to head back, if there was going to be time to squeeze a McDonald’s breakfast in before the first talk started at the exhibition launch. I set up a composition, using the shape of the tree to mirror the angle of the trees in the background and make sure everything had a bit of space. I’m fairly pleased with it, but I reckon there’s something missing, some light or a bit more going on in the sky would definitely help. Either way, it felt like a good morning, after a few recent visits where I’d thought Sherwood didn’t have much more to give it’s nice to get a little bit of inspiration from a new patch. https://www.connected-exhibition.co.uk/ – I’d recommend getting involved next year, and going to see the exhibition while it’s still on.